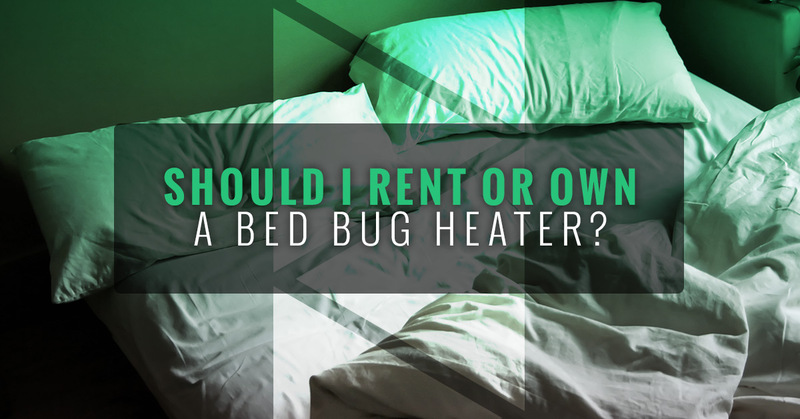 Commercial Bed Bug Heaters: Should I Rent Or Own? 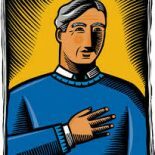 Attention hotel and facility managers! Do you have all of the necessary equipment you need in the event of an (inevitable) infestation of bed bugs? If not, do you know where to get this equipment? These are important questions which will need answers as soon as possible. Time lost is money lost after all, and when it comes to bed bugs it could also mean a lost reputation. In the event of an infestation in your hotel, motel, or other hospitality facility, it’s imperative to act fast and deploy your commercial bed bug heaters. Well, it all depends. If you want to run the most efficient, bed bug-resistant, highly reputable show in town, you may want to consider owning your own commercial bed bug heaters. However, there are still some viable rental options, or even contracting options through certain restoration and cleaning companies, which can help you in your time of need. Let’s take a look at some of these options below. 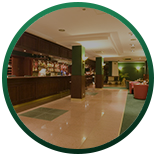 Renting or contracting out the use of commercial bed bug heaters could be a viable option for your hotel or hospitality industry. We already know, of course, that heat is the best way to get rid of bed bugs in hotels, homes, apartments, and darn near anywhere. That’s because over time, bed bugs have become resistant to the chemical solutions deployed by many pest control companies. Not to mention, heat is safer, comes with no side effects, and gets your infested room back up and running sooner than the alternative. If an infestation only happens once in a blue moon, or maybe it’s never even happened before, you may want to consider renting a commercial bed bug heater. Heater rental allows for a lower price point, and you don’t have to deal with finding storage. Another alternative to renting, should you decide you don’t want to handle the eradication yourself (or if you simply don’t have time), is to contract out the use of a pest control company. Be sure you find one of the Colorado Tri-Flo Systems partners, in order to ensure that your commercial bed bug heater will be of the highest quality. While renting or contracting might seem like the more cost-effective model, you may ultimately discover that it can get expensive quickly. We never know when a bed bug infestation is going to happen, after all; no matter how thoroughly we clean our rooms and hotel lobbies, all it takes is one hitchhiker to cause a world of problems. 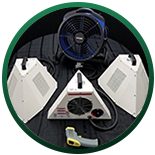 Should you decide to purchase and own a commercial bed bug heater (or heaters) for your facility, you can see a return on investment with as little as two or three uses. It doesn’t take any additional certification — all you need to know is how to operate it safely. Colorado Tri-Flo Systems heaters plug right into the electrical outlets on site, meaning you don’t have to worry about generators or other equipment to rid of your bed bugs. By owning your own equipment, you can ensure that you get into the infested room and clear it out in as little as one day, meaning you can get back up and running like normal without further incident. Furthermore, you can be more discreet with your eradication by owning your own commercial bed bug heaters, as you won’t have to worry about the pest control truck sticking out like a sore thumb in front of your lobby doors. All told, it’s likely a better move to simply purchase commercial bed bug heaters for your facility. Don’t know if you have the budget to splurge on a heater right away? Well, good news! Colorado Tri-Flo Systems now offers an exclusive financing program for our commercial bed bug heaters, allowing hotel and facility managers to access our solutions easier than ever. If you’re a hotel or business in the United States, you may even qualify for an IRS Section 179 tax deduction. Contact Colorado Tri-Flo Systems today to learn more about our commercial bed bug heaters and get one for your hotel today.